In the summer of 2015, the city launched a $526 million redevelopment project in North Philadelphia’s Sharswood/Blumberg neighborhood and forced more than 500 families out of their homes. The Norman Blumberg high-rise apartments at the intersection of 24th and Master, built in 1967, were demolished on March 19 of this year. 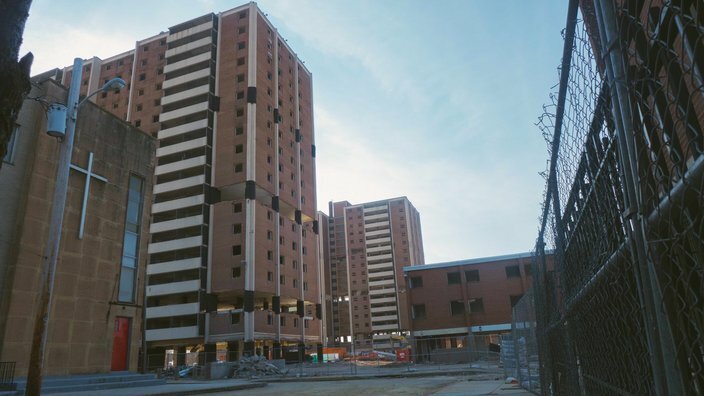 The Philadelphia Housing Authority, which is spearheading the redevelopment project, is also expected to scoop up more than 1,000 more units in the neighborhood via eminent domain. As is often the case with such projects — across the city, across the nation — this one is uprooting and displacing people of color on the lower end of the income spectrum. 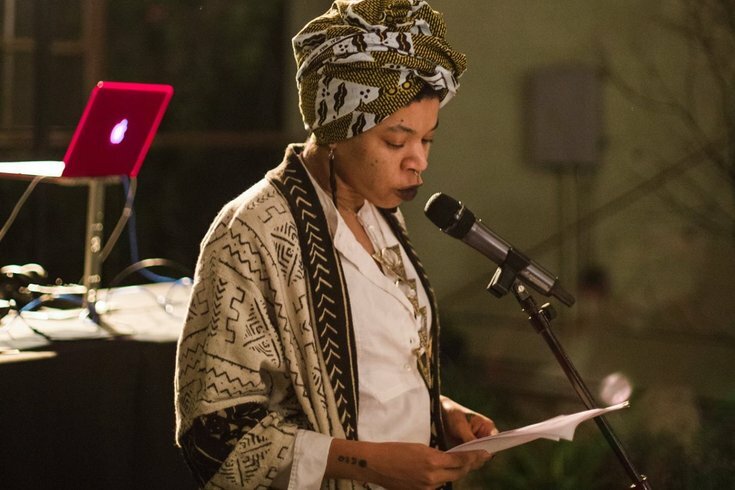 While many Sharswood/Blumberg residents seek out new living arrangements, Rasheedah Phillips — artist, author and managing attorney of the Landlord-Tenant Housing Unit of Community Legal Services — is utilizing Afrofuturism practices to preserve a piece of the neighborhood by creating the Community Futures Lab. Located at 2204 Ridge Ave., in the heart of the Sharswood/Blumberg redevelopment area, the lab will serve as a workshop space, gallery, studio and resource library. Community Futures Lab opens its doors this Saturday. “I live in the neighborhood, about eight blocks from where the eminent domain is happening, so this is my community as well, and I am seeing the effects of it firsthand,” says Rasheedah Phillips. Essentially, Phillips, along with her fellow artists in the Black Quantum Futurism Collective, plus six Community Futures Lab interns, will document the redevelopment of the neighborhood to empower its residents. They'll do this by facilitating workshops where residents from the area are invited to share their memories, hopes and dreams for their rapidly changing community, through various visual, vocal and written mediums. The interns will be canvassing the Sharswood/Blumberg neighborhood and asking residents to visit the lab to share their stories. They’ll also be armed with recording devices in case residents are unable to make their way to the space. These written and verbal accounts will be on display at the Community Futures Lab. Because of her work at Community Legal Services, where she advocates for clients who are facing eviction and other housing issues, Phillips has an in-depth understanding of what happens to communities when they face eminent domain. The Norman Blumberg high rise apartments, demolished in March. She believes Afrofuturism can help to heal some of these wounds. For those who are unaware, Afrofuturism has long served as a liberating practice for black people across the world. Although the term was not coined until the ’90s by author Mark Dery, its roots can be found in the works of novelist Octavia Butler and musician Sun Ra. The practice is an expansive and nuanced sub-culture that uses Afrocentrism and science fiction to reimagine black histories and futures. Phillips is a leading Afrofuturist practitioner in the Philadelphia area. She has written three books on the subject and facilitates various workshops across the country in regards to the practice. She describes Community Futures Lab as a “living gallery” and “quantum time capsule.” For a year, the space will display stories, art and other creations relating to the Sharswood/Blumberg neighborhood. After that, Phillips plans to use the collected materials, along with essays, interviews and images of the area to create "BQF Theory and Practice Vol. II: Community Futurism," a follow-up to her original anthology, "Black Quantum Futurism: Theory Practice Vol. I." This Saturday, June 18, from 5 to 7 p.m., the Community Futures Lab will host its opening reception. The event will feature live soundscapes and projections by Black Quantum Futurism, Alexoteric and Sirius JuJu and readings by Moor Mother. Donations will be welcomed. Although the work being done at Community Futures Lab is focused on the Sharswood/Blumberg neighborhood, Phillips encourages folks from across the city to visit and contribute.